The former home of the Meigs Marauder football team did not receive a bid at the auction held on Wednesday morning. POMEROY — The third time wasn’t the charm for Meigs Local in their effort to sell Bob Roberts Field and the surrounding property at public auction. Wednesday morning’s auction came and went without a bid on the former football field. A few minutes after 10 a.m. (the announced time for the auction) Attorney Chris Tenoglia, who is representing the district in the matter, called the auction without a bid received. Pomeroy Mayor Don Anderson and Councilwoman Maureen Hennessy, both of whom addressed the Meigs Local Board of Education at their July 24 meeting, were in attendance at the scheduled auction, along with a few other community members. At the meeting, Anderson told the board the village is interested in the property, but would not be able to afford the minimum bid set for the auction of $140,000. While the hope of Anderson and Hennessy, as explained to the board, was that the district would give the property to the village, Anderson stated the village would be willing to purchase the property. The property, which is nearly 13 acres of land, has been advertised for auction three times. The first attempt to sell the property was in 2013, with the second earlier this year resulting in a winning bid of $171,000. That purchase was not completed, leading to the third attempt. With no bid received, the district now has the option to proceed to negotiate a private sale of the property as was done last year with property the district owned in the Laurel Cliff area. Anderson explained to the board that the village would like to have at least a portion of the property for potential future expansion of the village’s sewer plant which is located behind the field. Anderson stated that engineer estimates are that the expansion would take from the scoreboard end of the field out to about the 20 yard line. Other than the field being used for the flag football program each fall, the field and property are considered to be a liability from an insurance point for the district. 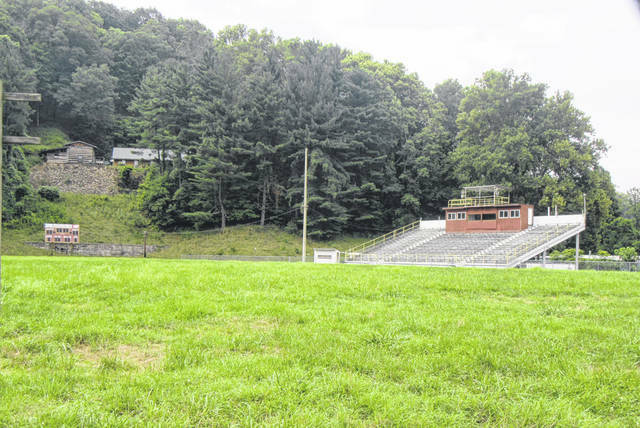 https://www.mydailysentinel.com/wp-content/uploads/sites/14/2018/08/web1_8.2-Football-Field_ne20188118620857.jpgThe former home of the Meigs Marauder football team did not receive a bid at the auction held on Wednesday morning.